Monica Joshi, P.T, C.M.D.T, C.S.P.T. Monica Joshi, PT, is the Founder and President of Back in the Game Therapy, PC. She earned her degree in Physical Therapy in 1985 from University of Bombay, India and has practiced consistently since that time. Monica has several certifications including the McKenzie method for treating spine disorders. In 1997, she earned a Diploma in Sports Physical Therapy from the University of Manchester, England. In 2006, she received a Diploma in the Pilates Method of Treatment for Rehabilitation Purposes. Monica has served on the faculty of the University of Utah. She is the co-author of a book on physical therapy post botox injections for Cervical Dystonia. She regularly consults with members of the medical staff at NYU, Hospital for Special Surgery, Columbia Presbyterian, and Lenox Hill Hospitals in New York City. She also served for four years as a clinical instructor in physical therapy techniques at the College of Staten Island in New York. She regularly attends seminars regarding the advances in the field of medicine and physical therapy. In her free time, Monica is an avid runner who has participated in national events including the NYC marathon and the 575 mile charity bike ride through Montana. Monica has channeled her expertise into a passion of giving back to others through A Leg To Stand On -a non-profit providing prosthetic limbs and physical therapy services to children across the world. As an active member, she and her team have raised over $80,000. She has also volunteered her time to administer physical therapy to disabled children in Bali. When you're injured or are in pain, you suddenly become hyper-aware of the importance and function of that bone or muscle. Without treatment, areas above or below the injury start breaking down as well. Sooner or later you decide to do something about it! Shiri-Lee has a deep understanding of this downward spiral on an anatomic level and is also focused on body and movement awareness. As an artist, she has an eye for observing detail and problem solving. She will work with you to help you get to the bottom of the source of the injury and end that dreaded cycle of pain and dysfunction. She has experience with post surgical rehab and will keep you entertained and help you find that "happy place " when more aggressive manual techniques are necessary. She is well versed in therapeutic exercises, yoga, active release, Pilates, joint mobilization, Mulligan Technique and kinesio-taping. She will constantly reassess your situation and get you to your goals as fast as possible. Shiri-Lee was born in Israel, raised in Brooklyn NY. She graduated from SUNY Downstate Medical Center with a Doctorate in Physical Therapy (DPT). She is also a certified strength and conditioning specialist and has 7 years experience training and rehabilitating injured athletes in a wide range of sports such as football, basketball, baseball, martial arts, and more. Shiri-Lee specializes in shoulder and knee injuries and also has extensive experience with injuries that are caused by postural and muscle issues. Shiri-Lee enjoys mixed martial arts, yoga, drawing, painting and creating music. Elfi's warm outgoing personality will greet you as you enter our office. She is responsible for the day-to-day operation of the office. Her responsibilities are wide and varied but her highest priority is to ensure that the patients receive the highest quality of care. She will ensure to meet with you and explain in detail about billing and insurance. With over 9 years of experience in the medical field, shes a seasoned veteran and truly enjoys seeing patients get better. Charles is a board certified Diplomat in Oriental Medicine from the National Certification commission for Acupuncture and Oriental Medicine (NCCAOM), the most advanced level of certification available. Charles is certified by the council of colleges of Acupuncture and Oriental Medicine (CCAOM) in clean needle technique. He is State certified as a Licensed Acupuncturist in New York State and graduated with high honors from Tri State college of Acupuncture (TSCA), one of the oldest schools of Acupuncture in the United States. As a further expansion of his knowledge of sports medicine and rehabilitation he is also a graduate of Matt Collision's Sports Medicine trigger point Acupuncture program. Charles is certified in Luminous Beauty facial Rejuvenation acupuncture or Cosmetic Acupuncture, which is a very effective non-surgical and painless way to lessen the appearance of fine lines as well as deeper wrinkles. Charles has been in Practice since 2004 and has researched and worked with renowned doctors in these varied fields. He has rotated through the departments of internal medicine, Gynecology, Dermatology, Traumatology, and Pediatrics. Charles is a strong believer in using Integrative, Holistic and Traditional Chinese and Japanese style Acupuncture in coordination with Western Medicine to treat the world's overwhelming diseases and to maintain overall wellness. Jeff adds a key component to Back in the Game's process to recovery. He is one of the few LMT that specialize in Active Release Techniques, Myofascial Release and Deep Tissue Massage. This skill-set allows Jeff to customize each massage treatment, especially as it pertains to varying injuries and conditions.. He has a gift for finding the point of the dysfunction, which will get you on the road to fast recovery. Jeff works wholistically, involving the entire body’s health systems, in order to help his clients heal and prevent future damage from occurring. His goal is to get clients back to health. Jeff specializes in: chronic pain, sports injury, repetitive stress injury, limited range of motion, etc. Born and raised in Turkey, Ilkay received her undergraduate degree at Bilkent University on Business Administration. After 4 years of corporate experience, she quit corporate life to pursue her passion for Pilates and a healthier life. She completed her training in New York with Katherine and Kimberly Corp, the founders of Pilates Academy International, who are also members of Pilates Method Alliance. In addition to apparatus certifications, she attended many anatomy and movement based workshops including cadaver studies. 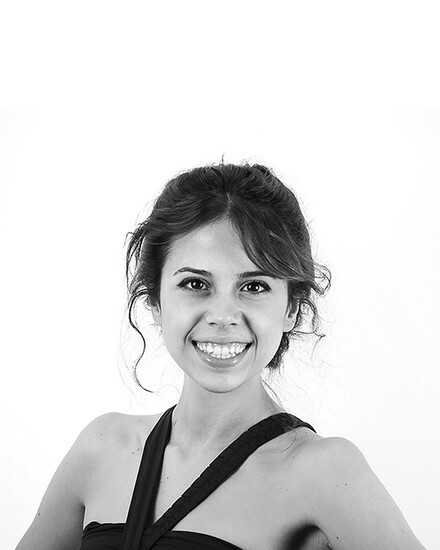 With a multi-disciplinary academic background, specialization in movement anatomy, fascial training and almost six years of teaching experience, she developed innovative teaching skills hoping that her knowledge can enhance and transform the lives of her clients. She believes that learning is a life time process, especially for Pilates instructors who are dealing with people’s both physical and mental health. She uses exercises and muscle contraction as a vehicle to make people overcome their barriers and discover their abilities to reach their actual potential, all while increasing their strength, coordination, flexibility. I love teaching people how to use and train their bodies properly to regain their physical health and mobility. Ilkay holds several certifications including Scoliosis , Osteoporosis and Fibromyalgia, Movement Anatomy and Cadaver Study.